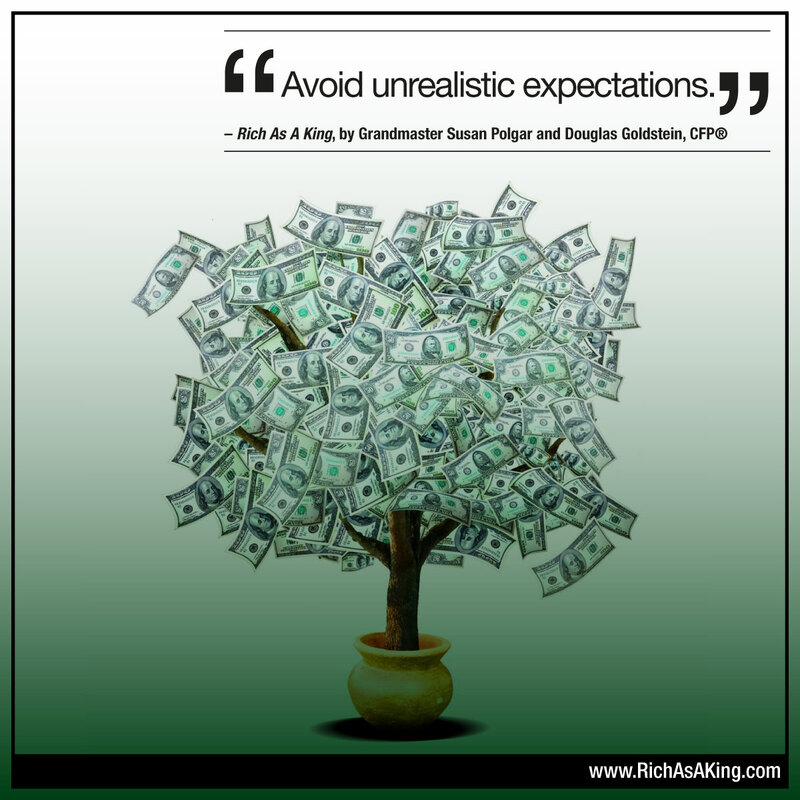 The key to understanding investments is to avoid unrealistic expectations. One of the biggest mistakes investors make is expecting too much from an investment. But why do people have unrealistic expectations of their investments? For some people, their ideal is to get rich quickly, without having to work too hard. So when they see a potential investment promising a very high yield, they get very excited. But in their haste to realize their dream of instant wealth, they forget the famous maxim, “If it sounds too good to be true, then it probably is.” In fact, investments with very high yields are either extremely high risk or shady. In their rush to fulfill their unrealistic expectations, these investors ignore their better judgment and have an incomplete understanding of the situation. This can be compared to when you are playing chess and you suddenly see that the path towards your opponent’s king is wide open in front of you. You may not stop to think that things may not be as they seem. It is much easier to just look at the squares in front of you, instead of at the whole board. You move your queen into position, ready for check. Suddenly, your opponent’s piece comes out from a direction that you didn’t expect and takes your queen! You are now left wide open to an attack, and the game is not going in the way you expected. Why weren’t you more careful? Your unrealistic expectation of an easy win impaired your ability to think things through clearly. When you think about a potential investment, you need to exercise good judgment and have a complete understanding of the situation. Don’t just look at the possible benefits: look at the risks as well. There is no such thing as a 100% safe investment. Every investment entails a certain amount of risk. The question is if it is a risk that you can afford to take. Are you able to sustain the possible loss? That depends on your personal circumstances. Your financial advisor can help you consider the whole picture in a clear, objective manner. Remember that markets can go up, and they can also go down. Don’t be dazzled by smart rows of figures or slick advertising brochures. The unrealistic expectations that these create can blind you to a true understanding of a potential investment. For more about understanding the bigger picture and not having unrealistic expectations, click here.